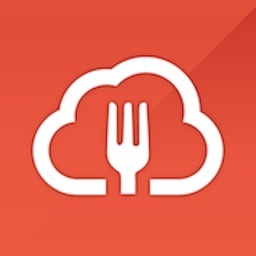 Paprika is a powerful app that lets users use a built-in web browser to find recipes online, save them directly to the app, organize their recipes, and create shopping lists to get all necessary ingredients. 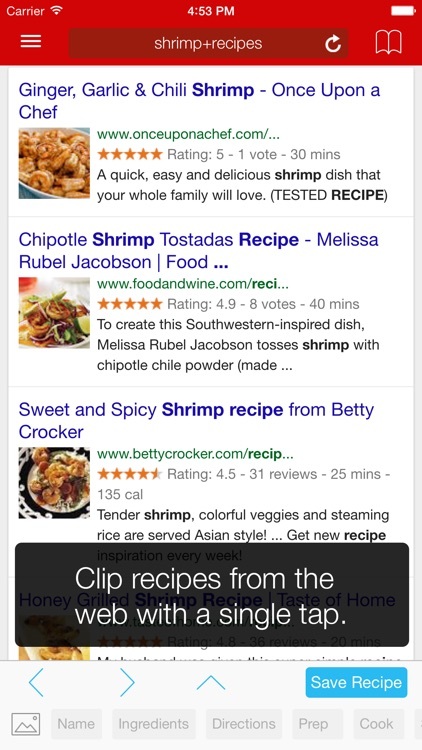 Clip recipes from the web with a single tap. 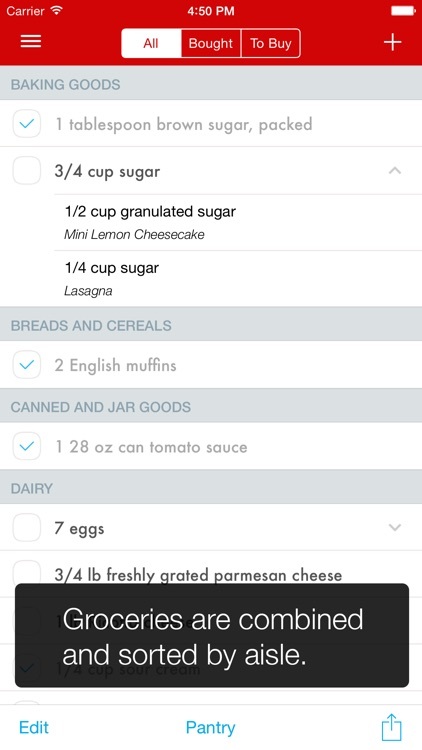 Groceries are combined and sorted by aisle. 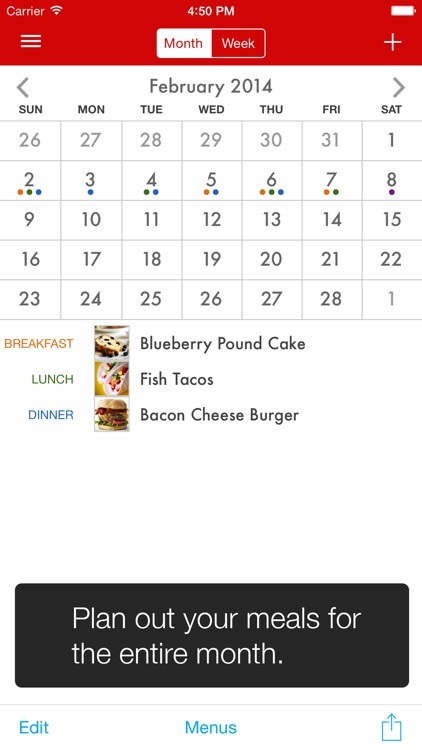 Use pins and timers to cook with multiple recipes at once. 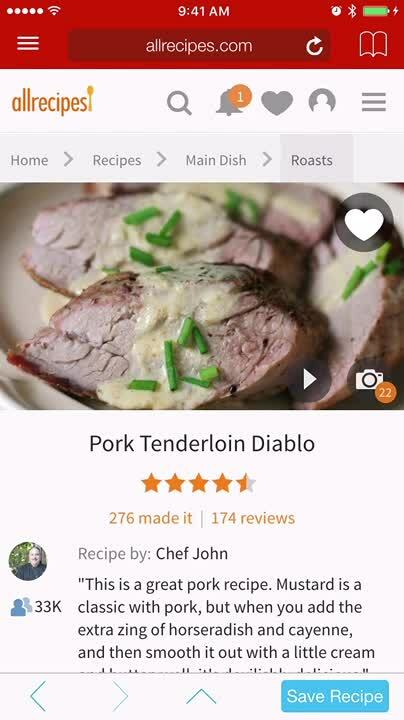 Paprika is a powerful recipe manager that does it all. 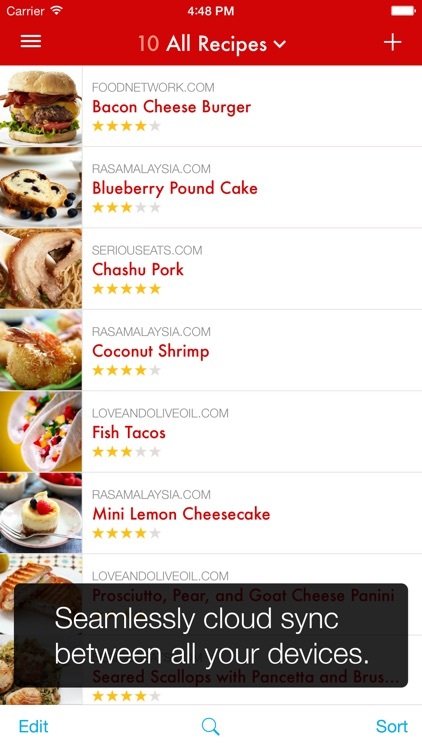 With Paprika, users are able to browse websites in the built-in browser, save recipes into the Paprika format from supported sites, and organize them however they see fit with their own categories. 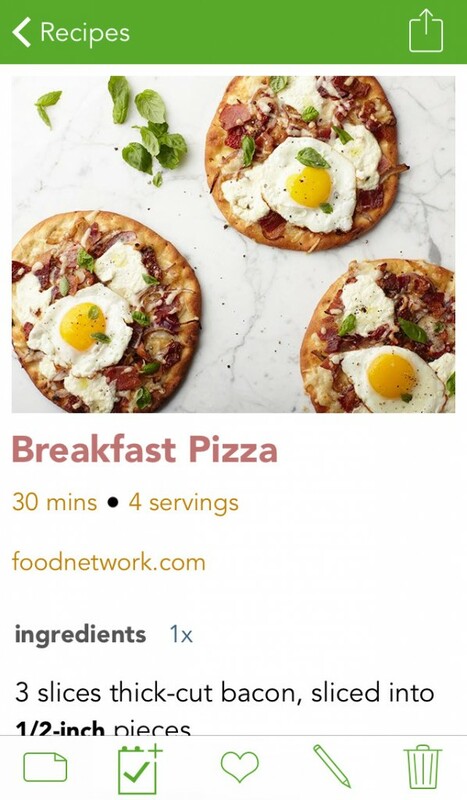 Each recipe has detailed lists for ingredients and step-by-step instructions, and there are even timers that you can use in the app to make the cooking process more streamlined. 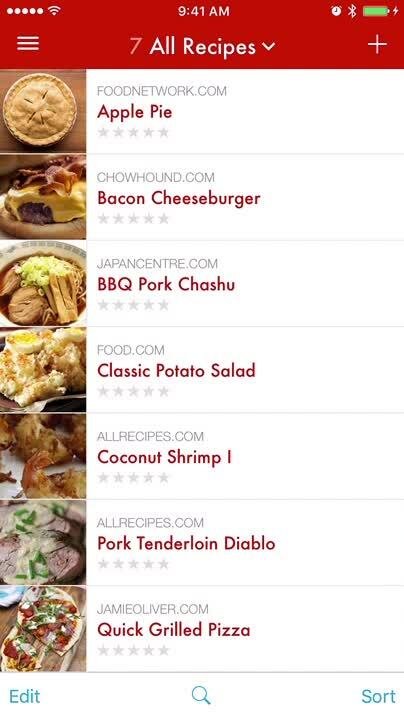 Before you get cooking though, you can use Paprika to generate shopping lists for all of the necessary components in the recipe, and it's all grouped up by aisle so you don't need to make multiple trips throughout the grocery store. 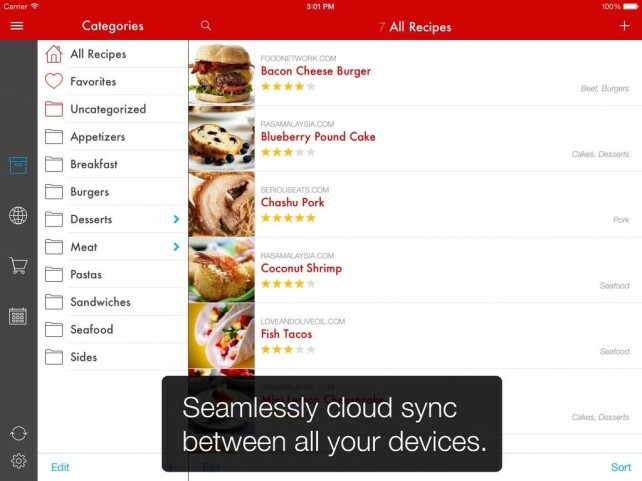 There is also an in-house syncing service that is free, and you can use it to sync your recipes across multiple devices, including Mac. 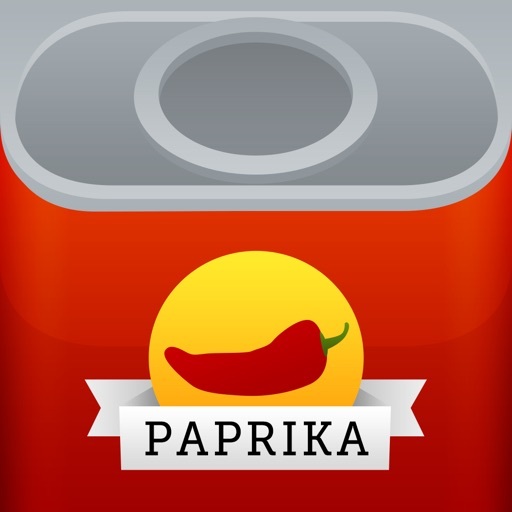 Don't need an app for managing recipes as they like to "wing it"
We've been using Paprika to store and organize all of our recipes for years now, and it's fantastic. 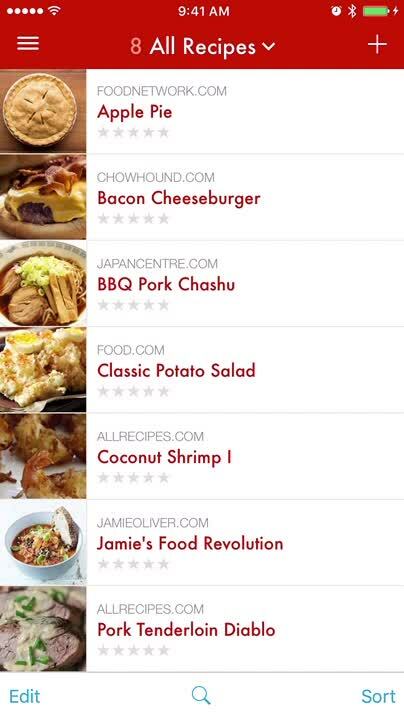 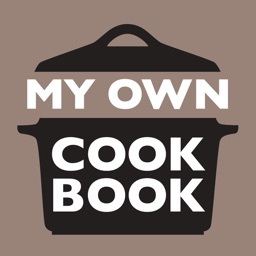 It's super easy to use, though it feels a bit cluttered at times, but it has everything you need and being able to sync your recipes across multiple devices is great. 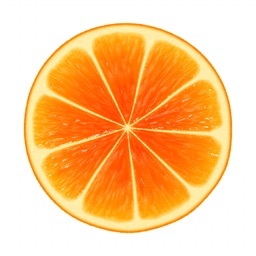 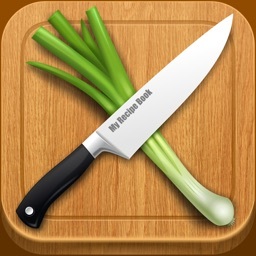 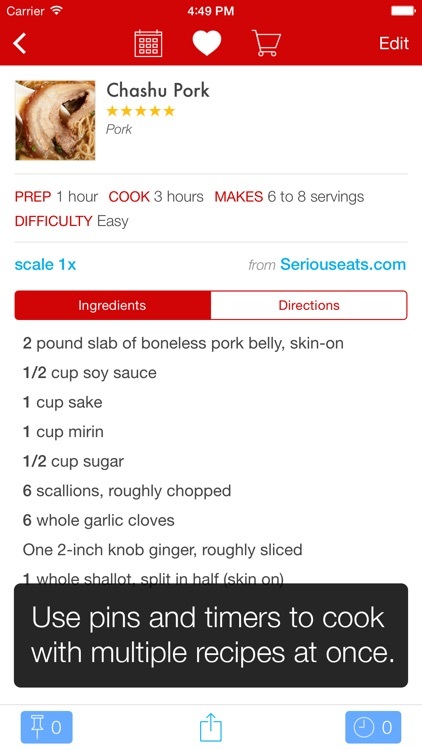 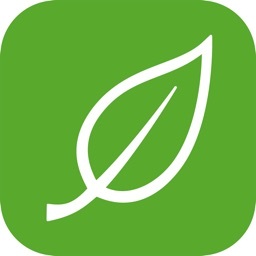 The popular recipe management app Paprika has just received its biggest update for both its iPad and iPhone editions.